Fast super-sports pre-unit 650 with twin carbs. Noisy, with vibration and poor handling at speed. An excellent bike which gained it's reputation from the Land Speed Record. 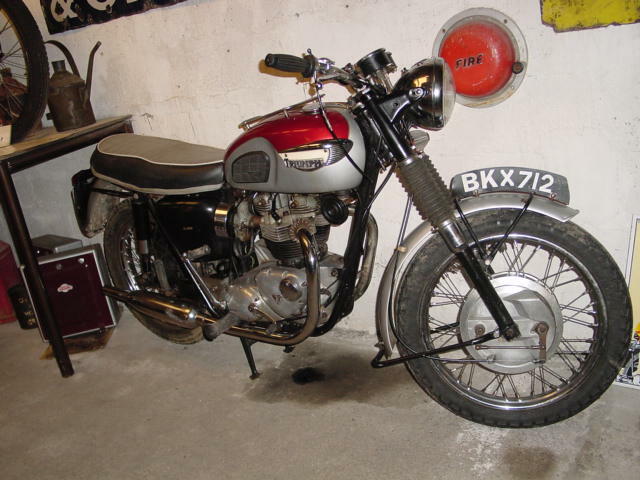 The unit-construction Bonneville has better handling than the earlier models and especially after 1971 with the oil-bearing frame, better forks and conical hub brakes. Good ones are relatively smooth, oil tight and quiet. 1966-70 bikes fetch the best prices. 1972 saw the 5 speed gearbox and 1973 front disc brakes. The "new bobby" that appeared in that well known television series situated in the rural fictional village of Aidensfield, Goathland, near Whitby, Yorkshire soon discovered that he preferred the bonnie to the BSA cop bike as it felt a lot lighter and nimble. 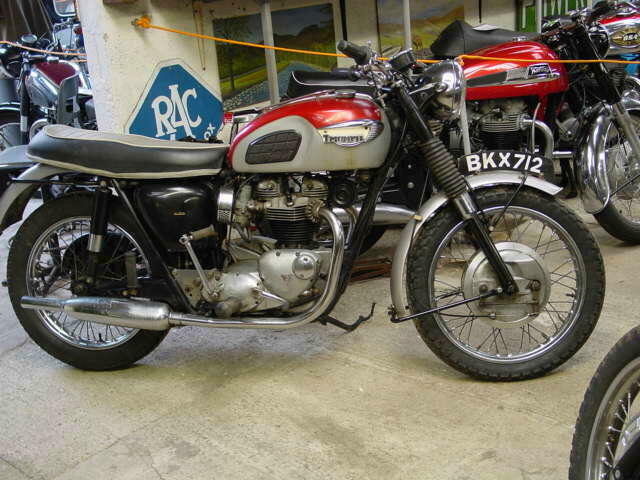 From my side of things, the BSA is a lot easier to maintain than the bonnie.